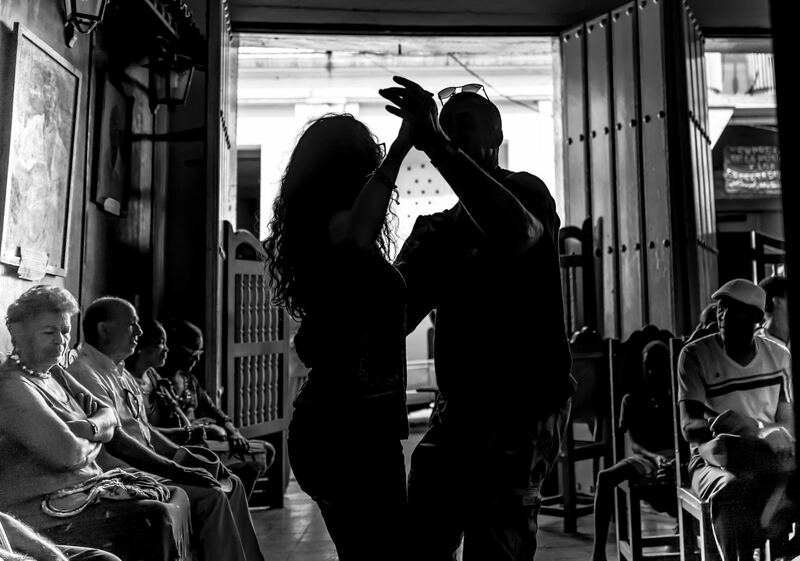 Friend of Tamarkin Camera, Gordon V. Smith, shares his photographs and story from a recent trip to Cuba with an instructive look into the history of Cuba and how it shaped what he saw and photographed. 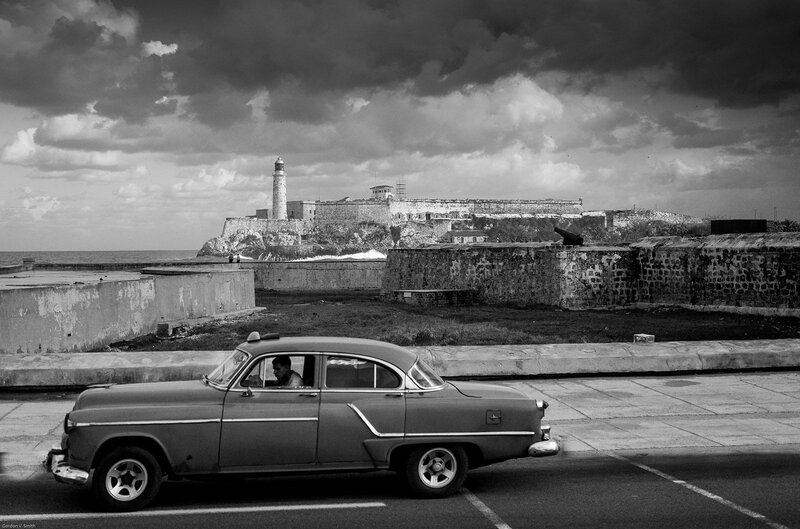 Five centuries after Columbus claimed Cuba for Spain, a small band of photographers landed at Havana. I was a part of that group, as were LHSA members Dan Tamarkin, Amy Gardner and Keith Sbiral. 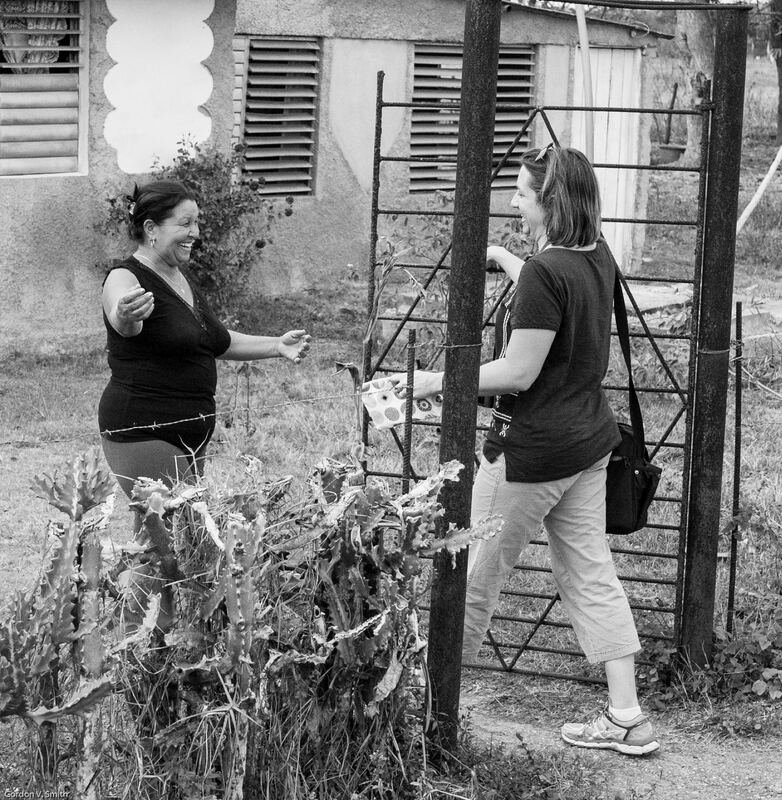 Amy and Keith organized the trip, conducted under the provisions of the “People-to-People” program (see completecuba.com). Our exploration took us from Santiago in the southeastern end of the country to Viñales, near its northwest shore, with many stops along our 700-mile path. We often stayed in private homes, which enriched the experience. Our interest was on street photography, and the trip focused (sorry!) on maximizing opportunities for that. And no, the title is not misspelled. My Typ 116 played a major role. Cuba has a vibrant history that makes it unique among the other islands of the Caribbean. Some knowledge of this history helped me to understand what I experienced there. Until 1892 Cuba was a Spanish colony. 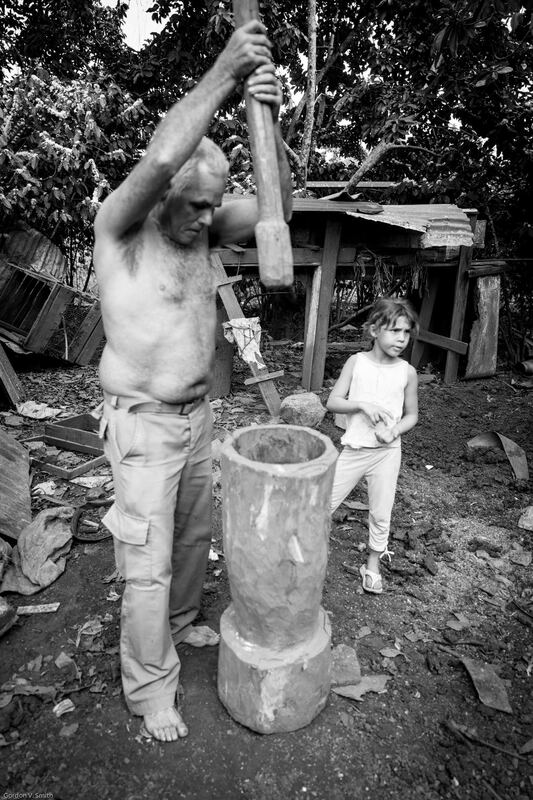 Coffee and sugar plantations were built, and slaves were brought from Africa to work on them. Spain’s rule ended in 1892 with the Spanish-American War (“…remember the Maine…”, and Teddy Roosevelt’s Rough Riders). A series of dictators followed, until Fidel Castro’s successful rebellion in 1959. Cuba’s previous commercial relationship with the United States effectively ended with the 1961 embargo that is still in effect. Cuba allied itself with the Soviet Union, but its economy suffered greatly from the collapse of the Soviet Union in 1990. 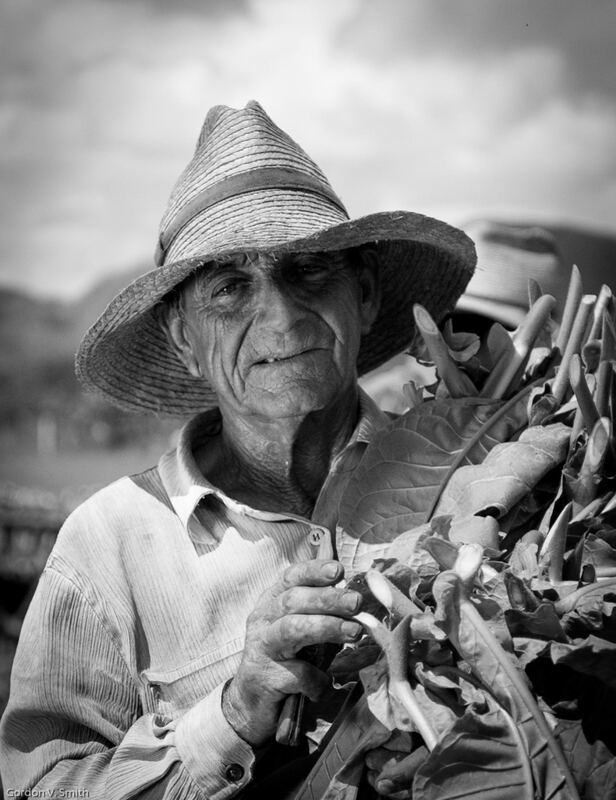 Against this backdrop, Cuba today still depends on the agricultural economy built in the colonial period. The four centuries as a Spanish colony also left behind a rich architectural heritage., much of which is, alas, in disrepair. Since 1960 or so, much of Cuba’s economy has been “on hold.” Everyone knows about the 1950s vintage American cars that are still very much in use. I did not expect to see the many horse-drawn vehicles, and so few mechanized farm implements. Many consumer goods are in short supply or simply unavailable. Cell phone service and Internet connectivity is sparse. On the positive side, the government has implemented some economic reforms relative to property ownership and self-employment. The homes in which we stayed were a part of a program to encourage “bed-and-breakfast” facilities. Knowing that a camera store would be an unlikely find, my bag was well-stocked. Cameras were an M240 and a Q, along with spare batteries, and lenses including a Summilux 50mm f1.4, a Summicron 35mm f2.0, a Summicron 90mm f2.0, and a Voigtlander Heliar 12mm f5.6. My offshore travels have always included a back-up to whatever M I was using at the time. The Q now fills that role. It replaced a T that I was very fond of. But I found that in going back and forth between the T and the M, I was making dumb mistakes with both, due to the considerable difference in the control system. I don’t think any camera can save my 80-year-old brain from all my dumb mistakes, but the Q is so “M-like” that the issue is greatly alleviated. The Q has become my “go-to” instrument, especially for street photography. Nearly all of the 2500 DNG images that I shot during this 9-day outing were with the Q. About 10% of them deserved a Lightroom “pick” rating. This is about average for me. The primary reason for my reliance on the Q was its auto-focus feature. Often I don’t want to raise the camera to my face (I am not as bold as some more skilled street photographers). Several times I boosted the ISO higher than what the M is capable of to force a fast shutter speed, enabling shooting from a moving vehicle. My Q has a hand grip, and I prefer to carry in the hand for street photos, so it's lighter weight is welcome. The panorama mode came in handy several times. It has taken some time, but I finally learned the panning speed that makes the Q happy. The lack of cell phone coverage and Internet access did not prevent using my iPhone as a remote controller since that feature is a self-contained network. I didn’t use it often, but there were some locales in which having the Q on a neck strap and studying the iPhone screen attracted little attention. I find that shortening up the neck strap enables better aiming. I must confess to some guilt feelings about leaving my M in the bag so often. It has been with me longer than any M I have owned, and it has become a trusted friend. Do cameras have feelings? I don’t know…maybe I am unduly anthropomorphic. I also feel a bit guilty toward the nice young lady in my car’s GPS when I don’t follow her directions. She never gets angry, even when she’s right. 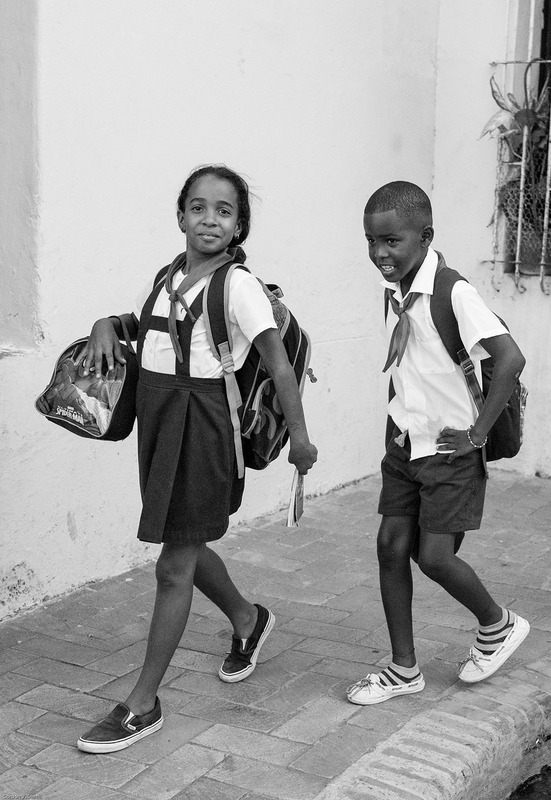 The reason that I concentrated on street photography here was that I have long believed that it is people who define a country or a region. The natural environment, buildings, monuments, and economic and political systems are the stage, but people are the actors who define the play. Most travelers are more interested in the Eiffel Tower than the lady selling flowers or the children feeding the pigeons. My thought is, however, that the feeling of Paris is best captured by combining images of the stage and the actors. That is my attraction to so-called street photography. I decided to render most of my street photographs in monochrome because I believe that medium best concentrates one’s attention. Conversion to monochrome was made in Lightroom. Wherever I went, I could not help but feel a spirit and pride, even among those who live in very modest circumstances. The young lady here exudes that spirit. Candidly (sorry! ), I did not see her expression and carriage when I took this picture. I can’t help but feel that she is going to make her mark in the Cuba to come. I felt that I was welcome and did not experience any looks or gestures of animosity, in spite of our national estrangement for five decades. I saw one highway billboard with an anti-American message. I was told that, in years past, there were many more. No one objected to having their picture made, which is a welcome change from my U.S. experience. As tourism increases, that may change. Before going, I downloaded a Spanish language app and spent a few minutes a day trying to absorb some common names and phrases. Even my seriously broken Español helped. I believe that wherever we go, we will find that we are more alike than different. This is especially true of young people, which speaks to the future. 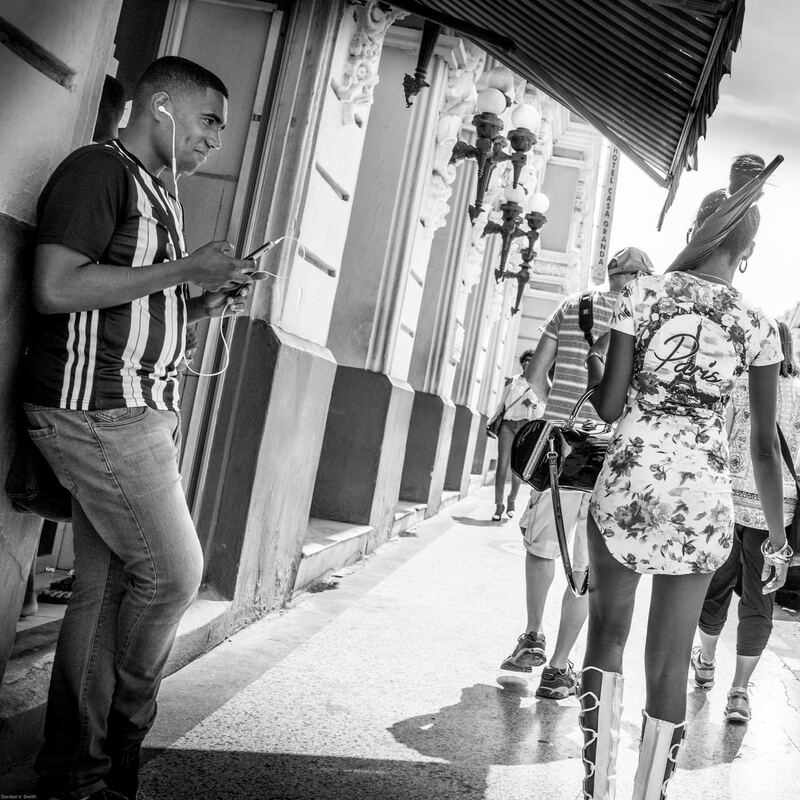 A good illustration of that is the young man in Cienfuegos interrupting his music-listening in an attempt to engage the young lady walking by. 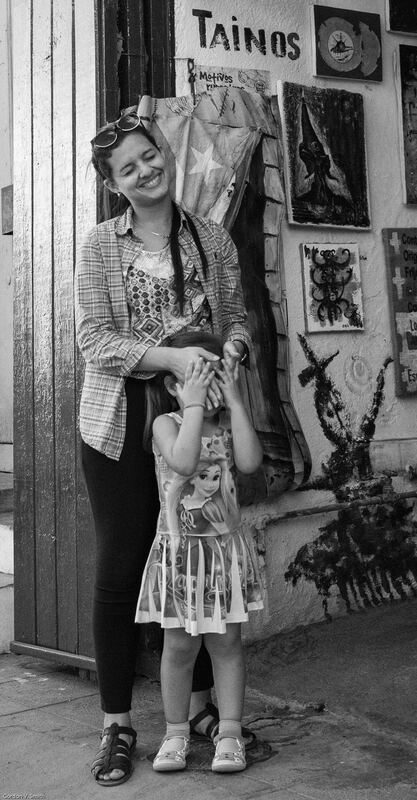 That image and that of the two young women could have been taken anywhere in the world. 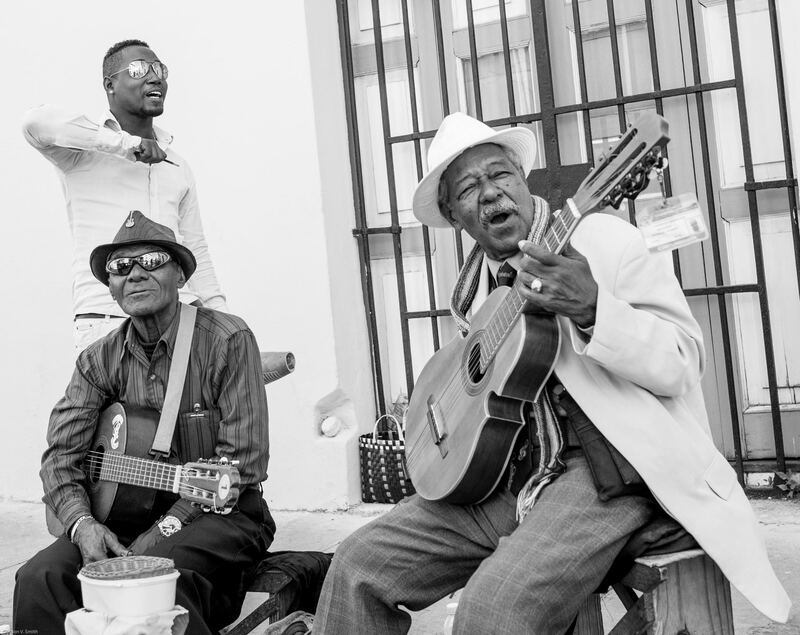 Music is an essential element of the Cuban experience. This music hall was a very informal place. Open to the street, people drifted in and out, and the musicians came and went. Folks, listened, played chess or danced. Street musicians are everywhere, and one gets the feeling that they are there for their own enjoyment. 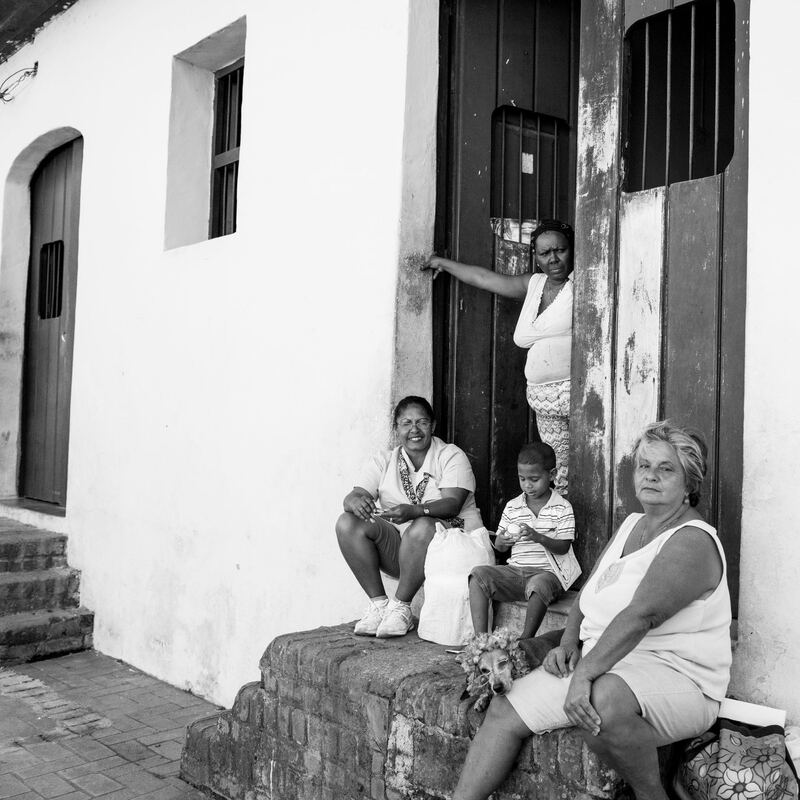 Cuban society is very family and neighborhood oriented. Folks sit out on their front steps and visit with passers-by. Parks that I saw were very well-populated and active. Retail establishments are often open to the street with a friendly atmosphere. 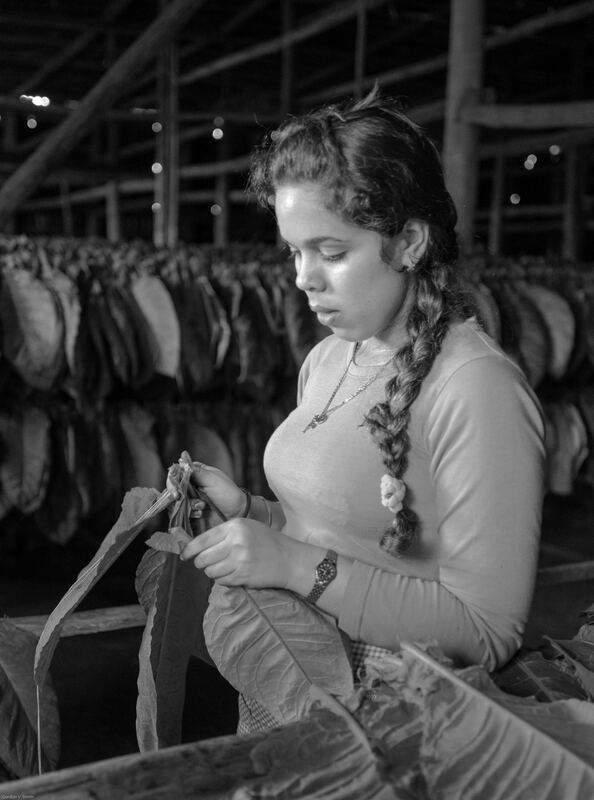 We visited a large tobacco grower and toured the whole operation from planting to processing. We learned that the grower turns over 90% of the crop to the government. What remains is the grower’s to sell. 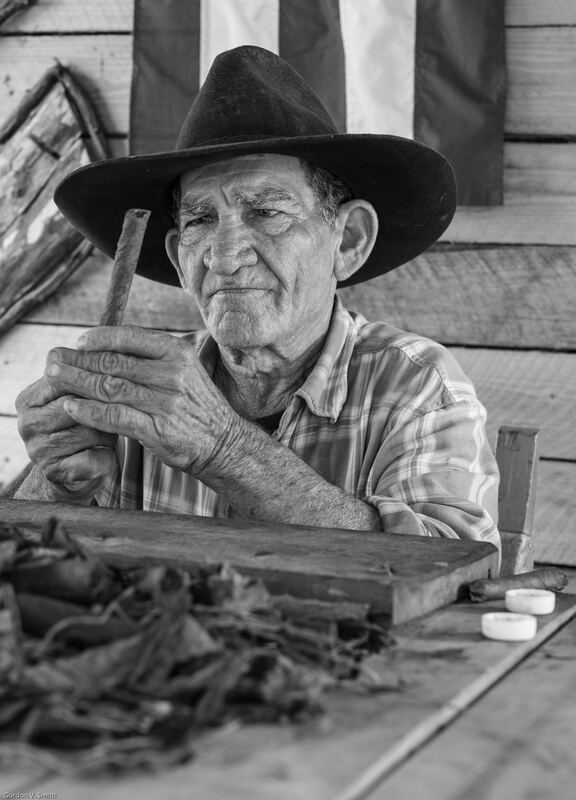 The lower leaves of the tobacco plant are used in cigarettes, and the upper leaves, having more exposure to the sun, are larger and higher quality and go to cigar makers. It is a very labor-intensive operation. We were also welcomed into the one-room homes of some nearby folks who worked their own farms. I hope that these images will convey the spirit and warmth of these folks who allowed me in their homes and lives, even if for a short time. This was a remarkable trip for me because Cuba, while only 90 miles offshore, has been a mystery to me and many of my countrymen. You can find more of Gordon V. Smith's photos on his website. 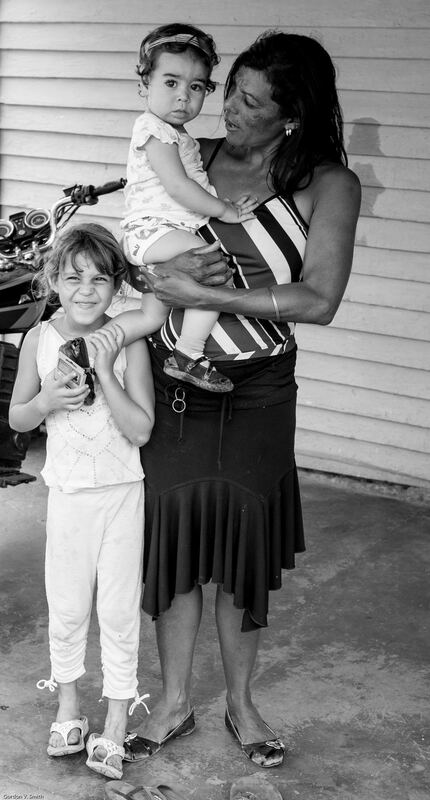 Check back next week for more photographs from Cuba by Gordon V. Smith, in color!